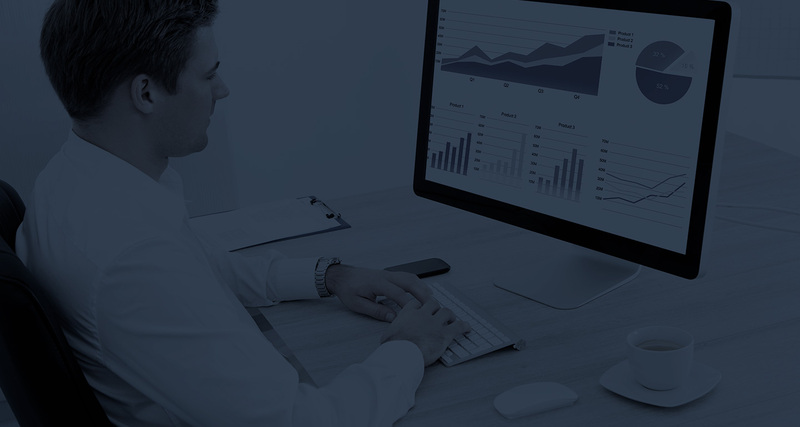 solution has it covered, providing complete and efficient monitoring. Not all businesses are similar and not all monitoring solutions work the same. With WebNMS, you can choose the best devices and sensors to suit your unique needs and bring them together on the powerful WebNMS IoT platform. The outcome is a futuristic tower monitoring solution to ensure just the transformation your business needs. Customizable, scalable and interoperable - you have the right foundation to integrate tower monitoring with other IoT solutions and get a complete grip over your business. Expand your imagination and do away with the silos - join the bandwagon of futuristic organizations. The Gateway devices facilitate communication between the sensors and the software application. The sensor data are suitably pulled by the gateway device and presented to the software application. Multiple sensors act as the physical touch points collecting and feeding data and parameters to the gateway device. 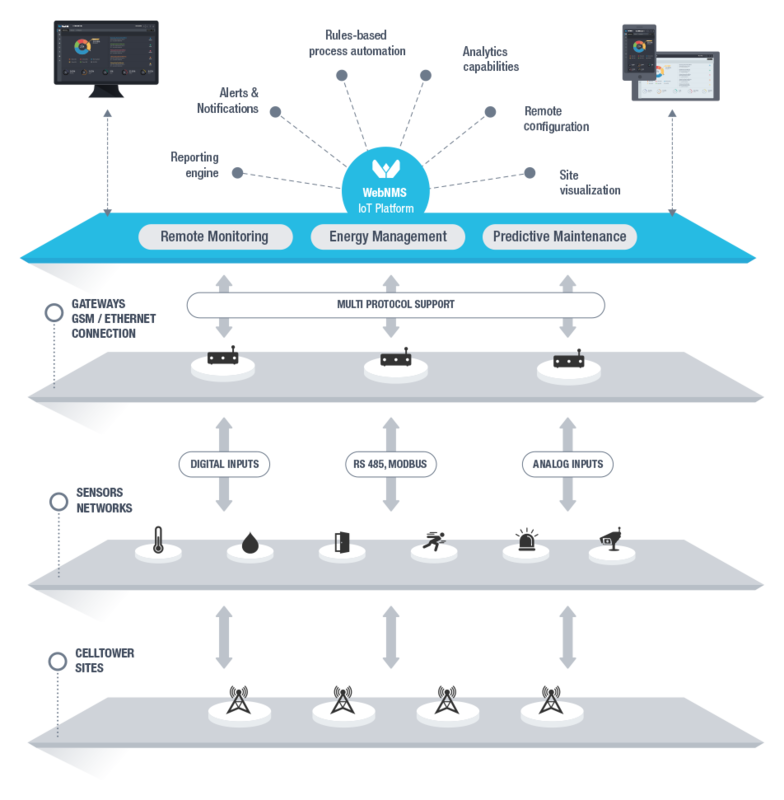 WebNMS IoT Platform provides the base for the software component of the Cell Tower Manager solution. The platform possesses the capabilities to receive, analyse and make sense of the date received from several thousands of sensors and to provide control and insights to the user.